Take back your yard this Spring during the ECHO Sales Event at New Braunfels Feed & Supply! March 5-11, 2017 all ECHO Equipment is 10% off. 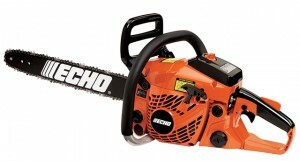 Every ECHO purchase comes with their standard 5-year consumer and 2-year commercial warranty (chain saws have a 1-year commercial warranty) – you don’t need to buy anything extra. Visit New Braunfels Feed & Supply to see firsthand our full line of gas powered string trimmers, leaf blowers, chain saws, power edgers and more. Stop by New Braunfels Feed & Supply to upgrade your lawn equipment and get ready for spring. Join us for the ECHO sale and save big! Don’t miss this event. This entry was posted on Wednesday, January 18th, 2017 at 6:08 pm	and is filed under Events, News & Updates. You can follow any responses to this entry through the RSS 2.0 feed. Both comments and pings are currently closed.